Former Sayreville War Memorial High School assistant football coach Charles Garcia — charged with steroid possession in a motor vehicle stop just before a hazing scandal shut down the school’s football program for the year — has applied for a pre-trial intervention program. Garcia, who resigned his post at Sayreville three weeks ago, has been charged with possession of steroids and possession of paraphernalia, a disorderly persons offense. 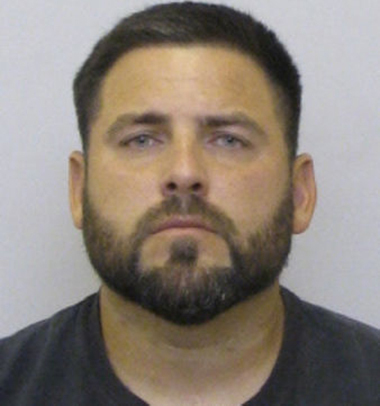 He was arrested on Sept. 26 on Route 22 in Bridgewater and had two 400 milligrams of steroids in each of two boxes, as well as 14 individually sealed and capped syringes, authorities have said. Garcia’s attorney, Philip Nettl, has told NJ Advance Media that his client didn’t give steroids to any of the players on the Sayreville High team. Officials later announced an investigation into alleged hazing incidents, and the cancellation of the entire football season. Earlier this month, authorities charged seven Sayreville football players for their alleged roles in a string of sexual assault and hazing incidents investigators say occurred during a 10-day span in September. was arrested late last month on drug possession charges. Three of those players were charged with aggravated sexual assault, aggravated criminal sexual co ntact, conspiracy to commit aggravated criminal sexual contact, criminal restraint, and hazing. Authorities believe the players engaged in an act of sexual penetration upon another juvenile member of the team. All seven of the players have been suspended from school. Garcia put in his request for the pre-trial intervention program — a kind of probation that can help an alleged offender avoid jail time — on Thursday, according to court documents. After Garcia is interviewed for entry into the program and a report and recommendation is made to the prosecutor’s office, the office will make a decision on whether to accept him into the program. The prosecutor’s office has three options. It could reject Garcia’s application, accept it or modify it. On Oct. 10, Garcia, a South Plainfield resident, waived his scheduled first court appearance. The case is now being forwarded to a grand jury pending the outcome of his pre-trial intervention application.